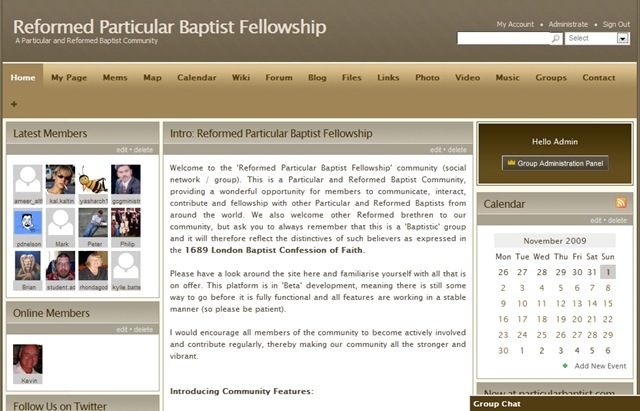 Reformed Particular Baptist Fellowship is a social network/community for Reformed/Particular Baptists that provides a wonderful opportunity for members to communicate, interact, contribute and fellowship with other Particular and Reformed Baptists from around the world. We also welcome other Reformed brethren to our community, but ask you to always remember that this is a ‘Baptistic’ group and it will therefore reflect the distinctives of such believers as expressed in the 1689 London Baptist Confession of Faith. One of the features of our community is the active forum/message boards. 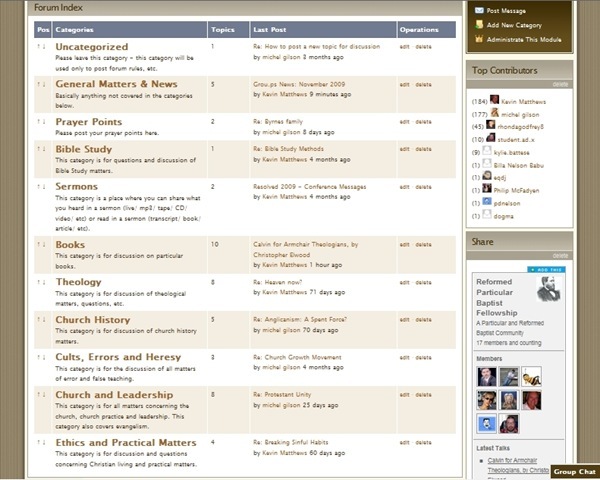 Though relatively young, the message boards/forum is providing a wonderful forum for discussing a wide range of topics, including books being read by members, prayer points, current relevant news/trends, theology, Bible studies, etc.